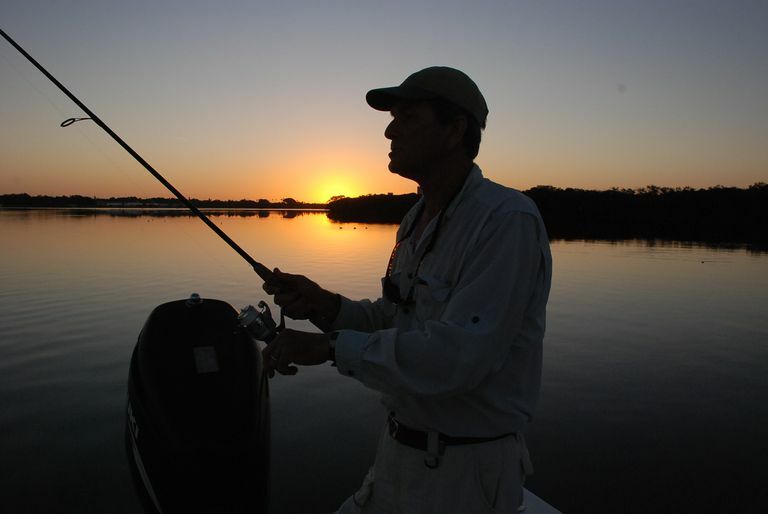 Most people who love to fish do so during the early hours of the day. But many anglers also like to be out after the sun goes down to try their hand at a sport that, depending on the region, time of year, type of water, and species of fish, offers its own special kinds of challenges. Those can range from casting surface lures in the pitch black for largemouth bass, to using glowing lures for deep-water salmon trolling, to sitting in a lantern-equipped boat while fishing deep bait for catfish or trout. One thing that can be said with certainty about angling for all species of fish in the inky blackness of night is that you just don’t fish like you would in daylight. In typical daylight fishing, anglers are accustomed to seeing what they’re doing and watching the line or the lure, but this is seldom possible at night. You can use black lights that make it easy to watch fluorescent lines, but although this was a popular monofilament line several decades ago, few anglers use this type of line, today. For the most part, intuition and a feel for your tackle become more important at night than during the day. This makes it advantageous to use a sensitive rod and line, and to forgo using ultralight tackle. Obviously, your vision is better on nights with moonlight than it is on dark or overcast nights, although there is some debate over whether bright nights are better for fishing than dark nights. Keeping the use of external-source lights to a minimum is a good idea for some types of fishing, though it is unnecessary for others. It is also well known that locations prone to receiving light (docks, piers, bridges, etc.) may attract small fish and thus larger predators, although this is more likely the case in saltwater than in freshwater. Even if you have great intuition and a natural feel for your tackle, a small headlamp is a proper accessory for night fishing, since it frees both hands and issues only a small amount of light. Better ones are those with red and/or green color options, which are not as alarming to fish if you happen to turn toward the water. Keep a couple of rods handy with different lures or baits on them to reduce the need to use lights in order to re-rig your tackle. 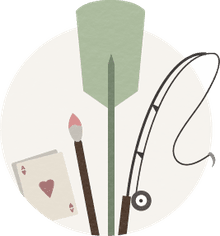 If you’re casting with a bait-casting outfit, for example, and get a bad backlash, you can put that rod aside and employ an already-rigged spare one. If you’re prone to backlashes with bait-casting tackle, consider using spinning gear at night, especially if circumstances don’t require accurate lure placement close to cover. Although you might be tempted to organize a last-minute fishing trip to an unknown destination, don't. Instead, take the time to familiarize yourself with the place that you’re fishing while it's still daylight. Make a note of the obstacles that might get in your way, maybe even sketch out a map. It's much easier to fish a place that you know well than one that is unfamiliar to you. When casting, it’s also best to slow down and work an area well rather than try to hustle all over. You should always make it a point to be quiet and stealthy, especially in a motorboat. Noise from plunking the electric motor into position, constantly running the motor, moving things around, chucking an anchor overboard, etc., is going to work against you. When in a boat, you should drift over to your area with the motor off and keep your movements while inside to a minimum. Landing and unhooking fish caught on lures with multiple hooks is more of a problem in the darkness, so do this sitting down in a stable position. Likewise, be careful you don't lose your balance and fall into the water while standing up in the boat. In daylight, you often can brace for a collision with objects, but it's hard to see these potential problems in the dark when you can easily be jolted off balance and out of the boat when it bumps into something. Keep a tidy boat and have a place for everything. Don’t leave things underfoot, especially hooked lures. Make sure you have a high-powered flashlight handy so you can warn an approaching motorboat about your presence, especially if you’re in a small craft without navigational lights. And when you’re under power, always have the ​bow and stern lights on. Finally, have great respect for the water and the forces of nature. If you get into some trouble, chances are there will be few people around to help.